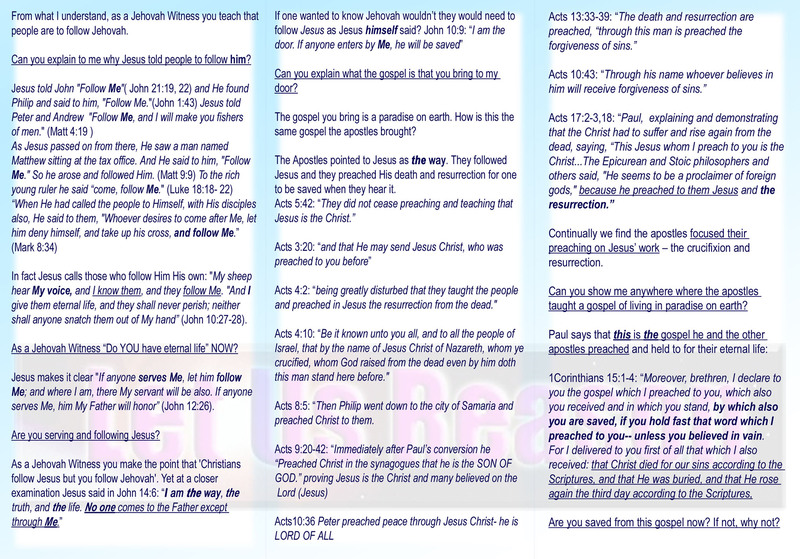 These tracts are meant to show the difference of what they believe with true Christianity and to give a Christian answer to various religions and cults (1 Pt.3:15) . They can be used as an outline that can be expanded if necessary. They are short so one can make their point with 5-10 minutes. 1Pet 3:15- But sanctify the Lord God in your hearts, and always be ready to give a defense to everyone who asks you a reason for the hope that is in you, with meekness and fear. 2 Tim 4:2- Preach the word! Be ready in season and out of season. Convince, rebuke, exhort, with all longsuffering and teaching. 2 Tim 2:24-26- And a servant of the Lord must not quarrel but be gentle to all, able to teach, patient, in humility correcting those who are in opposition, if God perhaps will grant them repentance, so that they may know the truth, and that they may come to their senses and escape the snare of the devil, having been taken captive by him to do his will. Can I ask you a few questions about the Bible? On John 1. 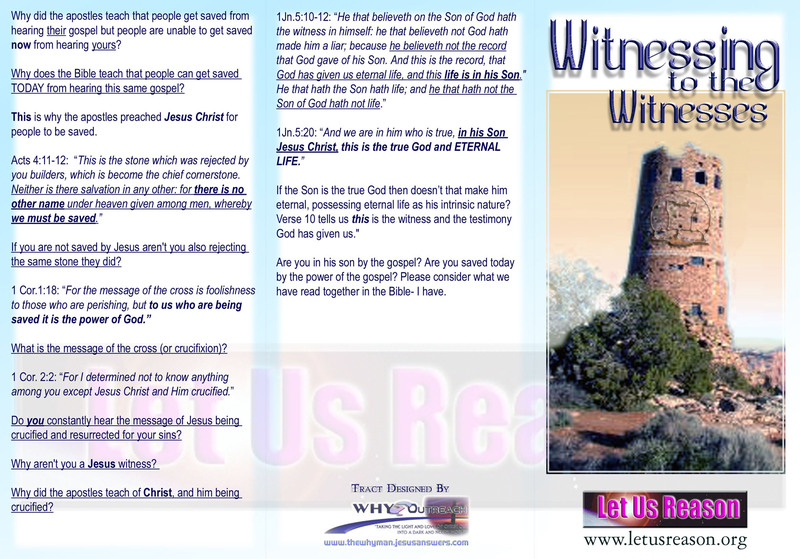 Is Jesus the savior and is the savior God?